Are you shopping for a used car with conveniences like keyless entry and navigation? Kareem Auto Sales Inc has you covered with a selection 59 affordable options — all available to Elk Grove shoppers with fair financing terms and rates. You don’t have to settle for a lackluster, boring vehicle just because you’re buying used. Here, you can find plenty of late-model options at reasonable prices. Shop high-quality pre-owned cars from Chevrolet, Buick, Jeep, Honda, and Toyota, as well as luxury brands like Acura, Mercedes-Benz, Lexus, and Land Rover. Free 30 Days /3,000 Limited Warranty !, **Rear View Camera**, TSX 2.4 Technology, 4D Sedan, 2.4L I4 DOHC 16V i-VTEC, 5-Speed Automatic with Sequential SportShift, FWD, Graphite, Taupe Leather, 10 Speakers, DVD-Audio, Heated front seats, Heated Front Sport Seats, Navigation System, Radio data system, Radio: Acura/ELS Surround 10-Speaker Audio System. Clean CARFAX. 2.4 Technology FWD 5-Speed Automatic with Sequential SportShift 2.4L I4 DOHC 16V i-VTEC31/22 Highway/City MPG**Awards:* 2012 IIHS Top Safety Pick*Insurance Institute for Highway Safety.Thanks for looking , If you need more information such as additional Photo's or a copy of your Free Car Fax History Report we are here to help . You can email us www.Kareemautosales.com or come visit us at our easy to get to location in Sacramento CA.-All Vehicles come with FREE warranty (call dealer for details)-We offer great extended warranty on our vehicles-Free CarFax Report History-Check us out on Yelp! 4.5 Stars-275+ Vehicles to choose from-Financing for all types of credit-CUDL (Credit Union Direct Lending)-Great 1st time buyer program-All vehicles pass Smog & Safety Inspection and receive a fresh oil change-Our buyers have over 10+ years of buying experience-Business HoursMonday - Saturday: 10:00am 7:00pmSunday: 10:00am - 5:00pm-And As Always Promised... BEST DEALS IN TOWN! Free 30 Days /3,000 Limited Warranty !, **Rear View Camera**, Prius Plug-in Advanced, 5D Hatchback, 1.8L 4-Cylinder DOHC 16V VVT-i, CVT, FWD, Winter Gray Metallic, Dark Gray Fabric, Cruise Control, Front Fog Lamps, LED Headlamp, Navigation System, Pre-Crash System, Technology Package. Advanced FWD CVT 1.8L 4-Cylinder DOHC 16V VVT-i51/49 City/Highway MPGAwards:* 2014 KBB.com Best Resale Value AwardsThanks for looking , If you need more information such as additional Photo's or a copy of your Free Car Fax History Report we are here to help . You can email us www.Kareemautosales.com or come visit us at our easy to get to location in Sacramento CA.Navigation Back-up Camera Push-Button Start Bluetooth Wireless Alloy Wheels Cruise Control All-Weather Mats 21 Service History Records-All Vehicles come with FREE warranty (call dealer for details)-We offer great extended warranty on our vehicles-Free CarFax Report History-Check us out on Yelp! 4.5 Stars-275+ Vehicles to choose from-Financing for all types of credit-CUDL (Credit Union Direct Lending)-Great 1st time buyer program-All vehicles pass Smog & Safety Inspection and receive a fresh oil change-Our buyers have over 10+ years of buying experience-Business HoursMonday - Saturday: 10:00am 7:00pmSunday: 10:00am - 5:00pm-And As Always Promised... BEST DEALS IN TOWN! Free 30 Days /3,000 Limited Warranty !, CTS Performance, 4D Sedan, 3.6L V6 DI VVT, 6-Speed Automatic, RWD, Radiant Silver Metallic, ebony Leather, Power UltraView Double-Sized Sunroof. Performance RWD 6-Speed Automatic 3.6L V6 DI VVT27/18 Highway/City MPGAwards:* 2012 IIHS Top Safety Pick * 2012 KBB.com Brand Image AwardsThanks for looking , If you need more information such as additional Photo's or a copy of your Free Car Fax History Report we are here to help . You can email us www.Kareemautosales.com or come visit us at our easy to get to location in Sacramento CA.All Vehicles come with FREE warranty (call dealer for details)-We offer great extended warranty on our vehicles-Free CarFax Report History-Check us out on Yelp! 4.5 Stars-275+ Vehicles to choose from-Financing for all types of credit-CUDL (Credit Union Direct Lending)-Great 1st time buyer program-All vehicles pass Smog & Safety Inspection and receive a fresh oil change-Our buyers have over 10+ years of buying experience-Business HoursMonday - Saturday: 10:00am 7:00pmSunday: 10:00am - 5:00pm-And As Always Promised... BEST DEALS IN TOWN! Free 30 Days /3,000 Limited Warranty !, 19'' Premium Wheels Heades Up Display New Tires, Detailed Service Records On Carfax, **NAVIGATION / GPS **, **MOONROOF / SUNROOF**, **Rear View Camera**, Heated Cold Leather Seat Posh To start Vacuum Doors Side Camera, 750i, 4.4L V8 32V Twin Turbocharged, 6-Speed Automatic, Black Metallic, Black Nappa Leather. Clean CARFAX. 750i RWD 6-Speed Automatic 4.4L V8 32V Twin TurbochargedAwards:* 2009 KBB.com Brand Image AwardsThanks for looking , If you need more information such as additional Photo's or a copy of your Free Car Fax History Report we are here to help . You can email us www.Kareemautosales.com or come visit us at our easy to get to location in Sacramento CA.-All Vehicles come with FREE warranty (call dealer for details)-We offer great extended warranty on our vehicles-Free CarFax Report History-Check us out on Yelp! 4.5 Stars-275+ Vehicles to choose from-Financing for all types of credit-CUDL (Credit Union Direct Lending)-Great 1st time buyer program-All vehicles pass Smog & Safety Inspection and receive a fresh oil change-Our buyers have over 10+ years of buying experience-Business HoursMonday - Saturday: 10:00am 7:00pmSunday: 10:00am - 5:00pm-And As Always Promised... BEST DEALS IN TOWN! Free 30 Days /3,000 Limited Warranty !, One Owner Carfax, Frontier SV, 4D Crew Cab, 4.0L V6 DOHC, 6-Speed Manual with Overdrive, 4WD, Super Black, steel Cloth. Clean CARFAX. SV 4WD 6-Speed Manual with Overdrive 4.0L V6 DOHCThanks for looking , If you need more information such as additional Photo's or a copy of your Free Car Fax History Report we are here to help . You can email us www.Kareemautosales.com or come visit us at our easy to get to location in Sacramento CA. *1 Owner* *Low Miles* *Navigation* *Mark Vision Premium Sound* *Heated-Leather Seats* *Power Hard-Top* *6-Disc/MP3/Cassette* *Cruise Control* *Alloy Wheels*-All Vehicles come with FREE warranty (call dealer for details)-We offer great extended warranty on our vehicles-Free CarFax Report History-Check us out on Yelp! 4.5 Stars-275+ Vehicles to choose from-Financing for all types of credit-CUDL (Credit Union Direct Lending)-Great 1st time buyer program-All vehicles pass Smog & Safety Inspection and receive a fresh oil change-Our buyers have over 10+ years of buying experience-Business HoursMonday - Saturday: 10:00am 7:00pmSunday: 10:00am - 5:00pm-And As Always Promised... BEST DEALS IN TOWN! Free 30 Days /3,000 Limited Warranty !, Detailed Service Records On Carfax, , LS 460 L LWB, 4D Sedan, 4.6L V8 DOHC 32V, 8-Speed Automatic with Sequential Shift, RWD, Pearl Leather, Navigation System. Clean CARFAX. 460 L LWB RWD 8-Speed Automatic with Sequential Shift 4.6L V8 DOHC 32V18/27 City/Highway MPGThanks for looking , If you need more information such as additional Photo's or a copy of your Free Car Fax History Report we are here to help . You can email us www.Kareemautosales.com or come visit us at our easy to get to location in Sacramento CA. *Low Miles(85k)* *Timing belt Has Been Replaced* *Navigation* *Moon Roof* *Back-up Camera* *Push-Button Start* *Heated/Cooled-Leather Seats* *Mark Vision Premium Surround Sound* *Bluetooth Wireless*-All Vehicles come with FREE warranty (call dealer for details)-We offer great extended warranty on our vehicles-Free CarFax Report History-Check us out on Yelp! 4.5 Stars-275+ Vehicles to choose from-Financing for all types of credit-CUDL (Credit Union Direct Lending)-Great 1st time buyer program-All vehicles pass Smog & Safety Inspection and receive a fresh oil change-Our buyers have over 10+ years of buying experience-Business HoursMonday - Saturday: 10:00am 7:00pmSunday: 10:00am - 5:00pm-And As Always Promised... BEST DEALS IN TOWN! Free 30 Days /3,000 Limited Warranty !, **4 NEW TIRES**, 2D Coupe, 6.0L V8 SFI LS2, 6-Speed Manual, Black, Ebony Leather. Clean CARFAX. RWD 6-Speed Manual 6.0L V8 SFI LS218/26 City/Highway MPGThanks for looking , If you need more information such as additional Photo's or a copy of your Free Car Fax History Report we are here to help . You can email us www.Kareemautosales.com or come visit us at our easy to get to location in Sacramento CA. *4 New Tires* *6-Speed Manual* *T-Top* *Bluetooth Wireless* *Bose Premium Sound* *Heated-Leather Seats* *Push-Button Start* *Back-up Camera*-All Vehicles come with FREE warranty (call dealer for details)-We offer great extended warranty on our vehicles-Free CarFax Report History-Check us out on Yelp! 4.5 Stars-275+ Vehicles to choose from-Financing for all types of credit-CUDL (Credit Union Direct Lending)-Great 1st time buyer program-All vehicles pass Smog & Safety Inspection and receive a fresh oil change-Our buyers have over 10+ years of buying experience-Business HoursMonday - Saturday: 10:00am 7:00pmSunday: 10:00am - 5:00pm-And As Always Promised... BEST DEALS IN TOWN! Free 30 Days /3,000 Limited Warranty !, One Owner Carfax, Detailed Service Records On Carfax, 2D Coupe, 6.0L V8 SFI LS2, 4-Speed Automatic with Overdrive, RWD, Victory Red, Cashmere Leather, ETR AM/FM Stereo w/CD/MP3/Navigation. Clean CARFAX. RWD 4-Speed Automatic with Overdrive 6.0L V8 SFI LS218/26 City/Highway MPGThanks for looking , If you need more information such as additional Photo's or a copy of your Free Car Fax History Report we are here to help . You can email us www.Kareemautosales.com or come visit us at our easy to get to location in Sacramento CA. *1 Owner* *Low Miles(91k)* *Navigation* *Heated-Leather Seats* *Push-button Start* *T-Top* *Dual Roof Panels* *Bose Premium Sound* *CD/MP3* *Alloy Wheels*-All Vehicles come with FREE warranty (call dealer for details)-We offer great extended warranty on our vehicles-Free CarFax Report History-Check us out on Yelp! 4.5 Stars-275+ Vehicles to choose from-Financing for all types of credit-CUDL (Credit Union Direct Lending)-Great 1st time buyer program-All vehicles pass Smog & Safety Inspection and receive a fresh oil change-Our buyers have over 10+ years of buying experience-Business HoursMonday - Saturday: 10:00am 7:00pmSunday: 10:00am - 5:00pm-And As Always Promised... BEST DEALS IN TOWN! Free 30 Days /3,000 Limited Warranty !, New Tires, **Rear View Camera**, Low mileage Running Broad Roof rack, Avalanche 1500 LT LT1, 4D Crew Cab, Vortec 5.3L V8 SFI Flex Fuel, 6-Speed Automatic, Imperial Blue Metallic. LT LT1 RWD 6-Speed Automatic Vortec 5.3L V8 SFI Flex FuelThanks for looking , If you need more information such as additional Photo's or a copy of your Free Car Fax History Report we are here to help . You can email us www.Kareemautosales.com or come visit us at our easy to get to location in Sacramento CA.? OPEN SEARCH RESULT PREVIEW ?-All Vehicles come with FREE warranty (call dealer for details)-We offer great extended warranty on our vehicles-Free CarFax Report History-Check us out on Yelp! 4.5 Stars-275+ Vehicles to choose from-Financing for all types of credit-CUDL (Credit Union Direct Lending)-Great 1st time buyer program-All vehicles pass Smog & Safety Inspection and receive a fresh oil change-Our buyers have over 10+ years of buying experience-Business HoursMonday - Saturday: 10:00am 7:00pmSunday: 10:00am - 5:00pm-And As Always Promised... BEST DEALS IN TOWN! Why Buy a Used Car from Kareem Auto Sales Inc? We offer one of the most impressive used inventories near Roseville and Folsom. From used compact cars to SUVs to trucks, our inventory offers something for drivers of all stripes. Our team can help you find used cars with keyless entry and navigation, as well as good mileage. If you see a vehicle you like above, complete our online credit application to get pre-approved and learn more about how to trade-in your current car. 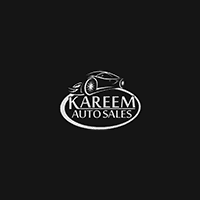 Contact us at Kareem Auto Sales Inc with any questions or to schedule a test drive!